Eight events are now in the books in the 2015 Spring Championship of Online Poker. Take a look at who the big winners are so far. To the delight of online poker players around the world, the 2015 Spring Championship of Online Poker (SCOOP) kicked off its big schedule on May 10 on PokerStars. The 46 events are broken out into low, medium, and high buy-ins, creating a total of 138 different tournaments with a breath-taking $40 million in combined guaranteed prize pools. 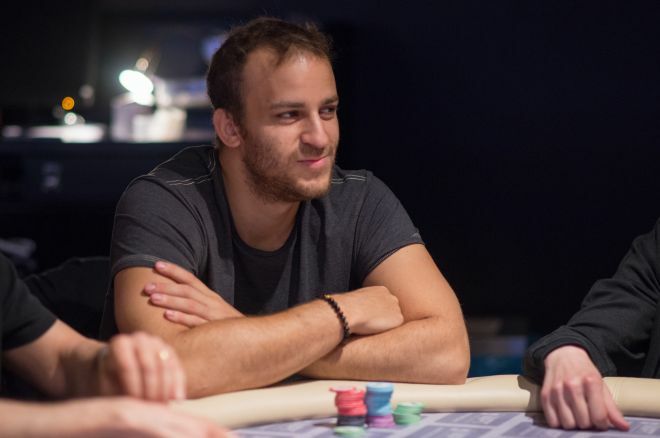 Eight SCOOP events are in the books, and it was none other than Canada's Sorel "zangbezan24" Mizzi proving why he is one of the best in the game by notching the biggest win so far in the series after winning $354,960 in the SCOOP-03 H $2,100 NL Hold'em, $1M Gtd. This event attracted 986 players with Poland's "husajn54" taking second place for $256,360 and the United Kingdom's Jack "_JMCD_89" McDermott taking third place for $191,284. While Mizzi is the biggest winner in the SCOOP right now, the buzz in the poker world is brewing about Jason "JasonMercier" Mercier after he scored two wins in SCOOP events in two days after outlasting the 56-player field in the SCOOP-05-H: $2,100 FL Badugi, $50K Gtd to win $39,200 and a 43-player field in the SCOOP-08-H: $2,100 NL Draw, $50K Gtd to win $34,400. You can read about Mercier's dominance by clicking here. Mercier now holds three SCOOP titles in addition to two titles in the PokerStars World Championship of Online Poker (WCOOP). In the opening event, it was "TheDegenFund" winning $207,720 by beating Pratyush "Shane Gamble" Buddiga in heads-up play to capture the SCOOP-01-H: $1,050 NL Hold'em, $300K Gtd title. In other SCOOP news, only one high event resulted in players agreeing to a deal. This occurred in the SCOOP-07-H: $700+R NL Hold'em, $500K Gtd, with Finland's "WRUUUUM" winning the event for $132,556, Russia's "Vodkaa&Bears" taking second place for $138,373, and Portugal's "skyboy69" taking third place for $122,237.49. Other notable finishes in this tournament include Calvin "cal42688" Anderson winning $49,998 for his fifth-place finish and Jonathan "apestyles" Van Fleet winning $29,544 for his seventh-place finish. Here is a look at the final table results of the first eight SCOOP high events. SCOOP-02 H $2,100 NL Hold'em [6-Max Progressive Super-Knockout], $1M Gtd. SCOOP-03 H $2,100 NL Hold'em, $1M Gtd. PokerStars Celebrates Two New Millionaires: Juanyi "JUANYI828" Lin And "citoject"